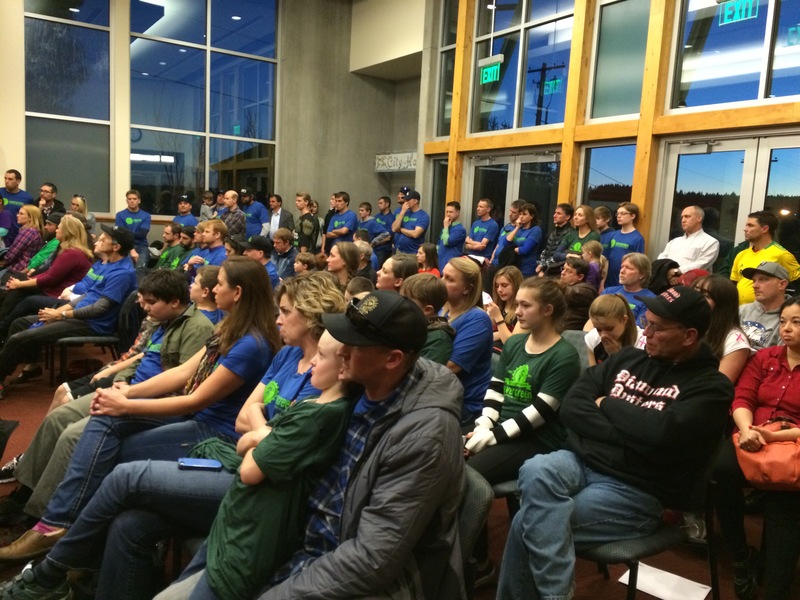 Residents and supporters cram into the Poulsbo City Council chambers to hear proposals for what the Little Valley Ball Field should become. Poulsbo’s park board will be recommending two of four proposals for Little Valley Ball Field — a bike track and softball field — to the City Council. The board ranked the proposal after every organization presented Monday night at Poulsbo City Hall where a crowd of residents and supporters spilled out into the hallway. Evergreen Mountain Bike Alliance West Sound Chapter proposed a bike pump track, while the Diamond Dusters wanted a “home” softball field. North Kitsap Little League also wanted to leave the property as a ball field to use for practice, and Kitsap Children’s Musical Theater wanted a new facility for rehearsal space. The board did not discuss why the bike track and softball field proposals were chosen over children’s theater or the little league field, although McCluskey said it was likely a combination of factors, such as timeline, cost, support and the organization’s need. While five proposals had originally been submitted to the city, one — a solar park proposal — was withdrawn at the request of PIE Inc. owner Pedro Valverde, who told the city via email that partners for the $1 million project did not come through. The children’s theater proposal also had changes announced at Monday’s presentations. The Kitsap Children’s Musical Theater decided to scale back plans for a $5 million performance and rehearsal center to a $3.9 million rehearsal only facility. The project would take about five years to complete fundraising and construction. After the board announced its recommendation, the neighbor who shares a driveway with the ball field spoke up about concerns with being able to leave and enter his property, along with preventing contamination to the shallow wells on his and his father’s property nearby. Maurice “Gene” Foster, who has lived by the park for 55 years, told the board he did not want to favor any one proposal, although he wanted the board and the city to consider his comments. Poulsbo City Council will consider the parks board recommendation, although council members will review all four proposals. The final proposal must meet building code and environmental standards, McCluskey said. You can read more details about the proposals in my previous story. Kitsap Transit fired up its newest Poulsbo bus route this week. 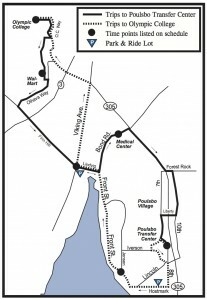 Poulsbo Central route No. 44 will be free for the first month, according to the Poulsbo city website. The bus makes a full loop around town about every 30 minutes, giving riders access to the Doctors Clinic and Group Health, the Poulsbo library branch, Hostmark Apartments, downtown, Olympic College, WalMart, Central Market and the NK Medical Center. 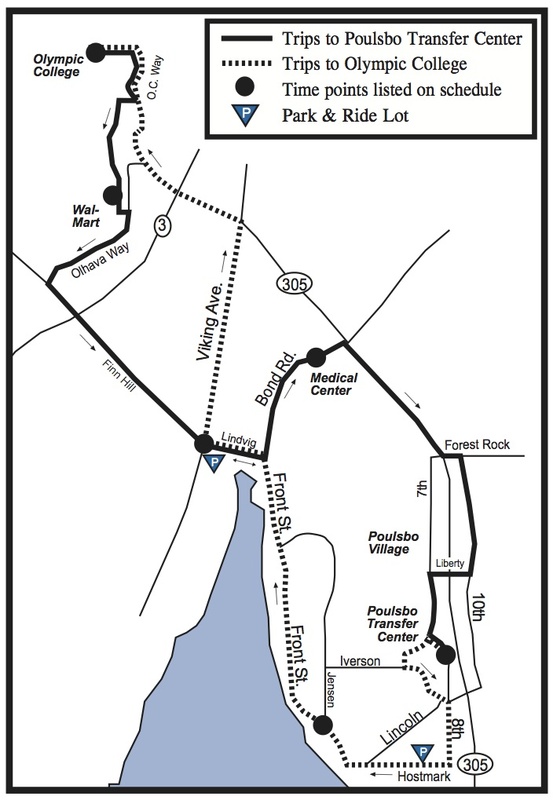 Poulsbo has three bus routes running Monday through Saturday. Kitsap Transit buses do not operate on Sunday anywhere in Kitsap County. Read Ed Friedrich’s story on the Poulsbo bus route changes. Poulsbo City Council will interview four candidates and appoint a new member Wednesday night to Linda Berry-Maraist’s vacant seat. Berry-Maraist announced her resignation at the end of last year to focus on family and starting her career back up. Her term did not end until December 2015, along with three other council members’ terms. Boone Eidsmoe, Hunter McIntosh, Kenneth Thomas and Shane Skelley are vying for the seat. Each candidates said they would like to run for election in November. Council members serve four-year terms and earn $6,000 a year. Eidsmoe, a recent graduate of North Kitsap High School, is a sale associate at Dahlquist Fine Jewelry in Poulsbo. During his time at North Kitsap High he was the drama president where he helped budget for projects and productions, his application says. Eidsmoe also is the youngest Poulsbo Lion’s Club member, joining last year. His volunteer work includes helping rebuild trails around Raab Park. His three highest priorities for the city would be dealing with the issue of drugs and homelessness, along with bringing more businesses to Viking Way. McIntosh is the managing director with The Boat Company where he has worked since 2000, with a two-year stint in computer communications from 2006 to 2008. 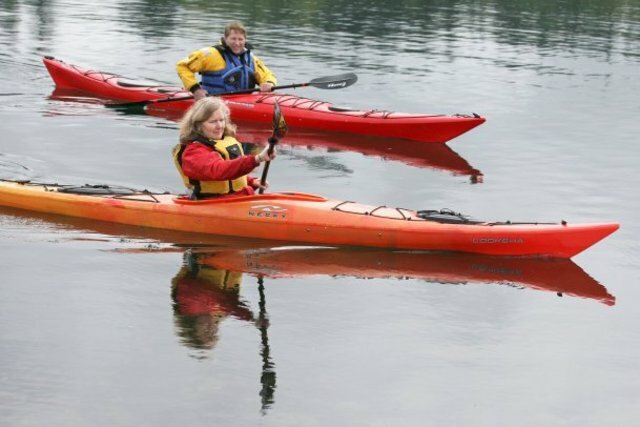 The Boat Company is a “nonprofit educational organization offering luxury eco-cruises through Southeast Alaska,” according to its website. McIntosh’s career has been spent working with environmental policy for nonprofits, his application says. His earned his bachelor’s degree in political science, communication and marketing from Sacred Heart University in Connecticut in 1999. McIntosh has lived in Poulsbo for two years, and half of his community involvement is in Alexandria, Virginia, near Washington, D.C. He served on the city’s Parks and Recreation Commission, the Environmental Policy Commission and the Youth Policy Commission. His three highest priorities would be redeveloping Viking Avenue, create a “college town” with Olympic College and strengthen the city’s position as a destination local via water access. Thomas bought a Poulsbo home in 2009, before becoming a full-time resident there in 2012. He is a retired Naval officer, working with the Navy for about 20 years and was most recently responsible for a maintenance training program in the Puget Sound region last year. Previously he taught high school and middle school in Arizona from 2001 to 2005, after working with the Navy since 1982. He also served as an elected Goodyear City Councilman in Arizona from 1977 to 1979. Thomas earned a bachelor’s degree in political science at Arizona State University in 1991 and a master’s in secondary education from the same university in 1997. He also earned a bachelor’s in history at Regents College in New York in 1991, and “completed graduate-level courses in public administration,” which was taught by city managers, his application says. His top three priorities as councilman would be preparing the city for review of its urban growth areas in 2016, ensuring public safety with a well staffed and trained police department, and maintaining Poulsbo’s quality of life and character..
Skelley is a general contractor and owner of Skelley Works LLC in Poulsbo, which he started in 1998. His company does bid on public works projects, his application said, and it has helped with city projects, including the educational amphitheater at Fish Park. 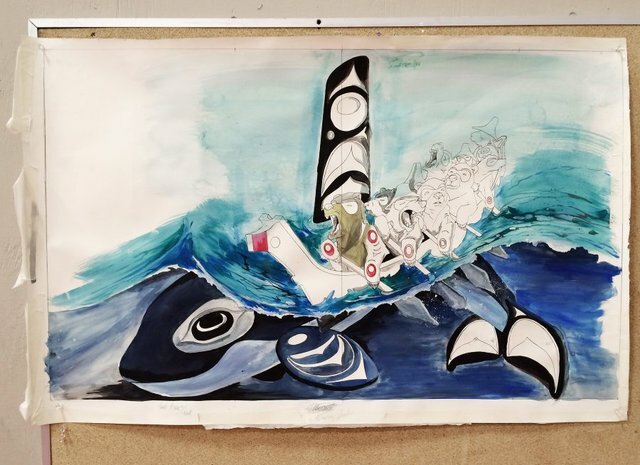 Skelley has lived in Poulsbo seven years, graduated from North Kitsap High School in 1993 and attended Clatsop Community College in Oregon from 1993-1995. He was a member of the Poulsbo Planning Commission and Port of Poulsbo Citizen advisory board. He is currently a member of the Poulsbo Rotary Club and Poulsbo Chamber of Commerce. Skelley’s top three priorities would be “keeping ahead of new storm regulations,” establish stormwater fee incentives for commercial and residential property owners to reduce impervious surfaces, and help streamline permitting processes, “especially when it relates to habitat restorations and projects involving non profits,” according to Skelley’s application. Technology has made Poulsbo’s Community Police Advisory Board obsolete, leading to the City Council disbanding it. The board was established in 1991 to “ensure quality citizen input and information exchange concerning police services and programs,” Police Chief Al Townsend told the City Council Wednesday night. Before Twitter, Facebook or even easy access to the internet, the board members were the connection between the community and police department. It was not an investigative, watchdog or review board, Townsend said. 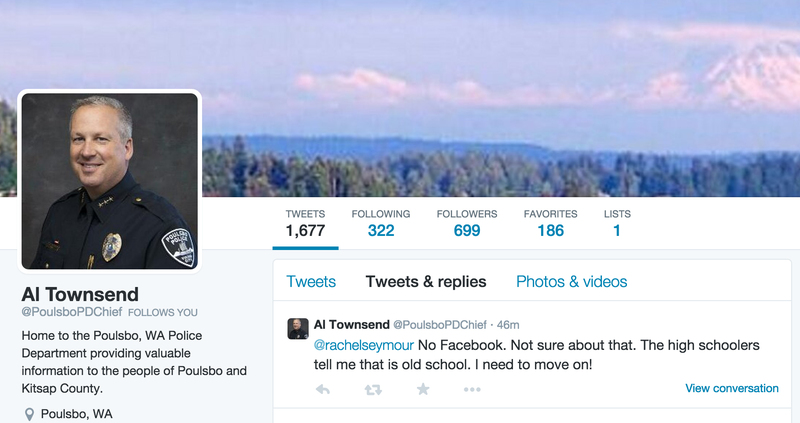 Townsend and the Poulsbo Police communicate directly with citizens these days using an email newsletter and Townsend’s Twitter feed, which has nearly 700 followers. “These new methods of communication reach a considerably wider audience and supply immediate feedback from both supporters and critics of the police department,” Townsend said. The department doesn’t have a Facebook. It’s too trendy for that right now. “The high schoolers tell me that is old school,” Townsend replied in a tweet. The Twitter account is where the department reaches its younger and “more mobile audience,” he said. Beyond emails and Twitter, the department has neighborhood meetings, survey audits for those that contact the police and individual meetings with citizens. While online communication grows, the department was struggling to fill the nine board seats and had only seven members. “People’s schedules have changed over the years,” Townsend said before noting evening meetings are difficult for residents to routinely make, pointing to the small audience of four at the council meeting. Mayor Becky Erickson also noted that when the board first formed there were no City Council committees, which now include a public safety committee chaired by Councilwoman Connie Lord. “We’ve really multiplied ways we do outreach to our community,” Erickson said. The Poulsbo City Council voted Wednesday to ban marijuana-related businesses and collective gardens for medical marijuana. 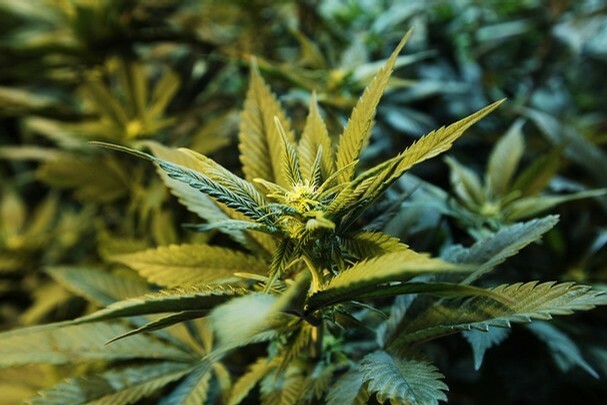 Before the Poulsbo City Council voted to ban marijuana related businesses and collective medical marijuana gardens Wednesday night, several council members and area residents voiced concerns about public safety. Councilwoman Connie Lord said she was “appalled” to learn that home-based day cares would not require 1,000 feet buffer for marijuana businesses, a topic Chris Henry reported on earlier this week. — Elementary schools or secondary schools. — Recreation centers or facilities. Susan Ogilvie, a Poulsbo resident, said she was in the second phase of completing her home-based day care center that would be nearby the light industrial zone area of Viking Way where marijuana businesses would be allowed. She asked the council not to approve a permanent marijuana ordinance, because of a nearby the Viking Way area zoned for marijuana businesses. Although there is a 1,000 feet buffer applied to the park where marijuana businesses would not be allowed, Ogilvie argued that many children ride their bikes through the area to get to the park. Ogilvie also spoke out against marijuana related businesses in Poulsbo at the planning commission’s public hearing last month as the city moved forward with a permanent ordinance for marijuana businesses. The commission voted to send the permanent ordinance to the City Council for Monday’s hearing. In February, the council voted to extend the interim marijuana ordinance for six months. If the council had decided not to act or voted down the ordinance Monday night, the current interim regulations would have expired in August. As the Poulsbo Fire Department responded to a medical call last month, the crew tripped over a makeshift wheelchair ramp. The ramp — made from a lawn mower loading plank on top of two pieces of two-by-eight lumber — left the four-man crew nervous about the family’s safety. A mother, who uses a wheelchair, recently moved in with her daughter, who also is caring for her husband. 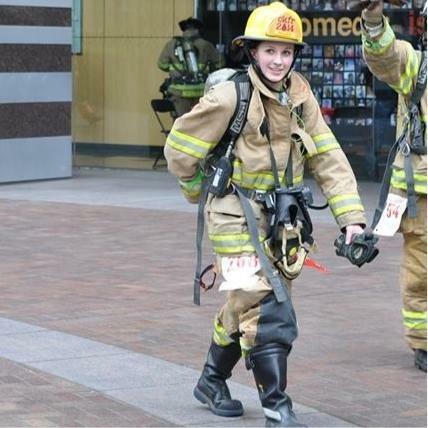 “The family seemed a little overwhelmed,” Lt. Chris Rahl said. After a quick conversation the group — firefighters Chris Rahl, Steve Behal and Chris Cribbs, along with paramedic Ed McLaughlin — asked the family if they could build a new ramp. And on Feb. 12, a day that all four men were off duty, the crew made a morning supply run for lumber and built the ramp in place during the afternoon. The new eight-foot long, non-skid ramp only took a few hours to build and was a relatively simple project, Rahl said. And funding the project was simple. The department has a community assistance fund that comes from fundraisers and donations, Rahl said. The fund also is used to pay for hotel rooms when a home is severely damaged by a fire, North Kitsap Fishline’s holiday meals and other community aid. But the department doesn’t take requests, Rahl said. 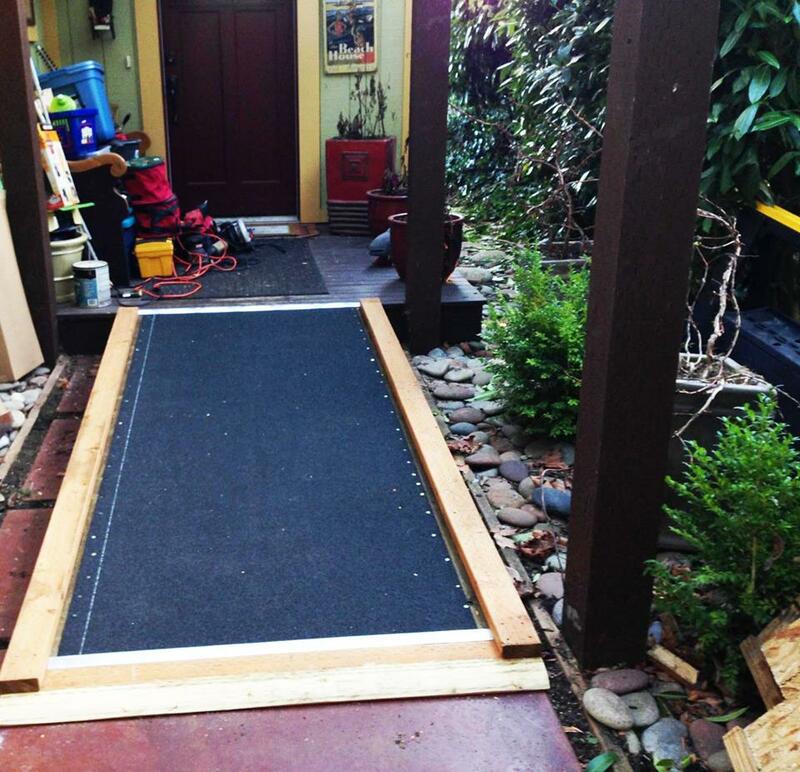 When firefighters and paramedics see a need, like a new ramp, they take action. While the fire department has built ramps in the past, the recent ramp is the first one in five or six years, according to Rahl. 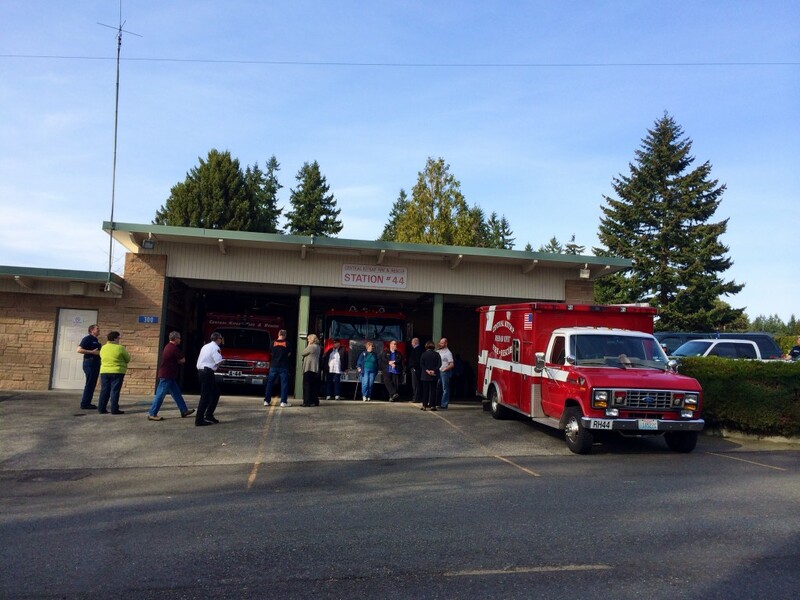 Usually, you won’t hear Poulsbo’s firefighters talking much about their community assistance. 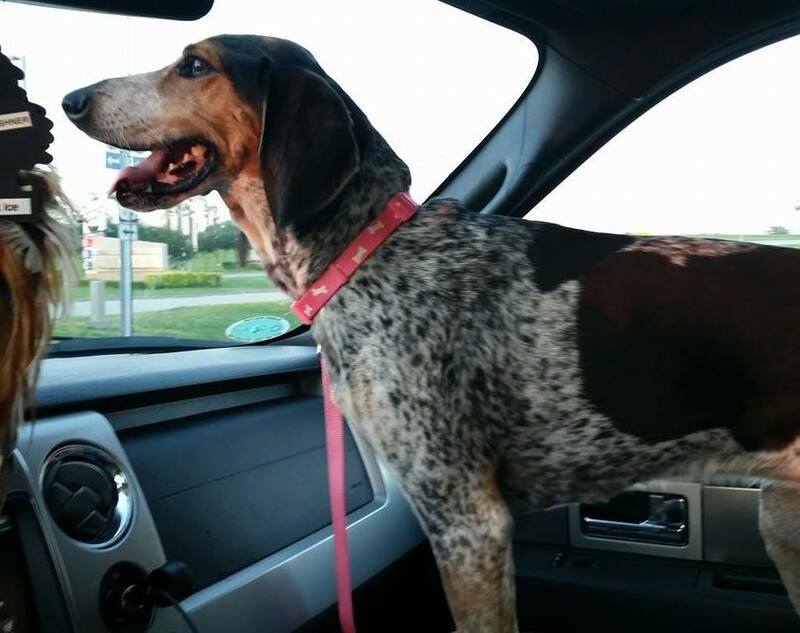 They are humble and aren’t after recognition, according to spokesperson Jody Matson.